While he hasn't posted any of his banked entries yet, my friend Sal has just started Sal Eats Jeremy's Dinner. This blog will chronicle Sal's eating of my dinner, in case you didn't catch that from its name. Sal runs an independent IT business, bartends at one of my favourite local haunts, and between the two of us we basically know everyone in Astoria. He's also a frequent guest at dinner and probably my best friend. 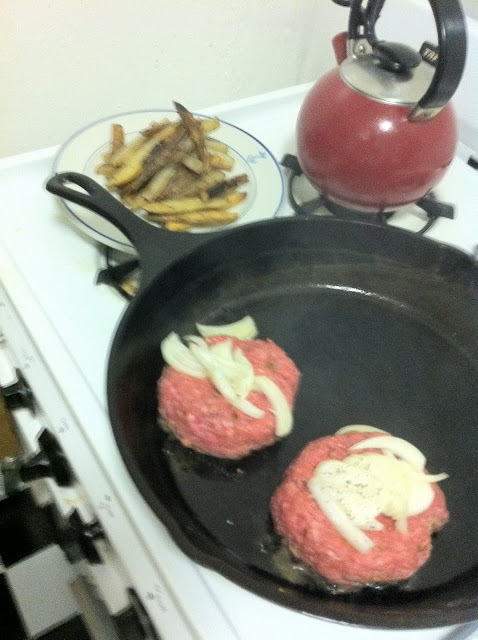 Praise being done, I had Sal over for some bison burgers and hand-cut fries the other night. 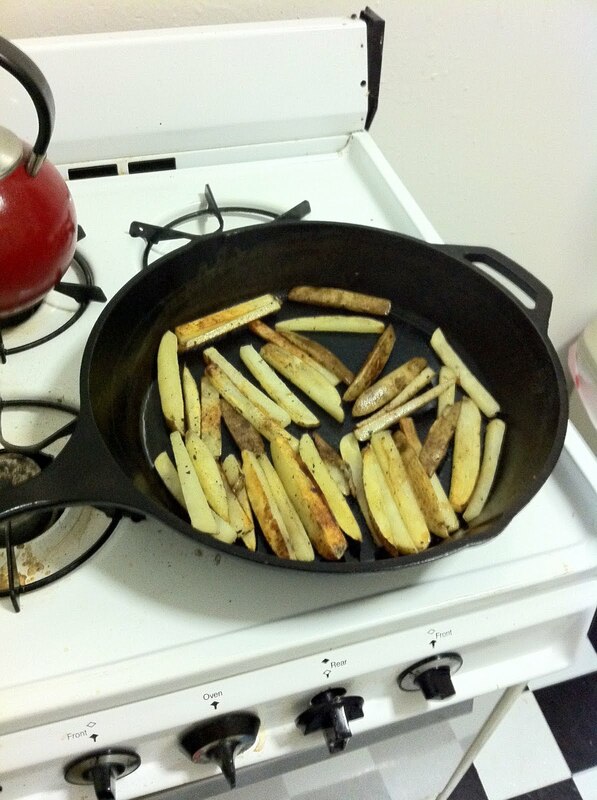 Two potatoes met their end to my sharp chef's knife. Bison patties mixed with diced jalapenos and salt and pepper cooking with some sliced onion. 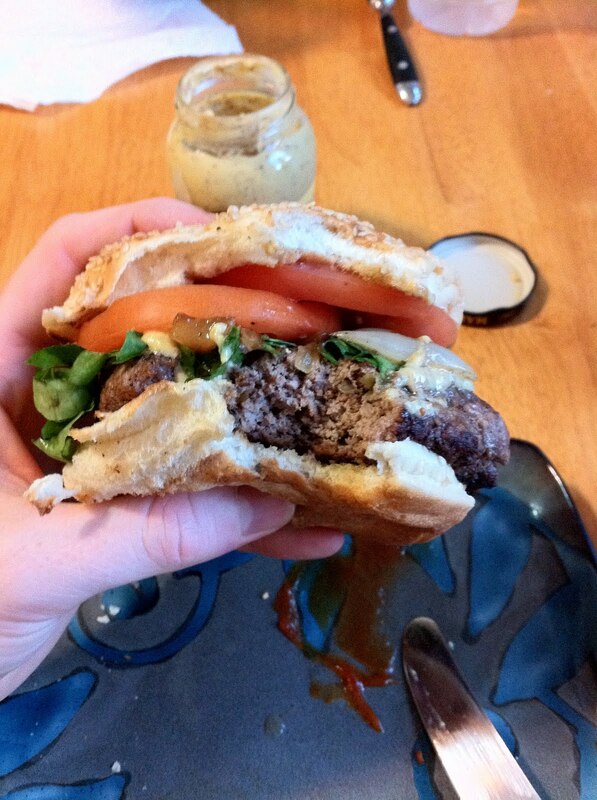 The final juicy product topped with fried onions, romaine lettuce, tomatoes, dijon mustard, and ketchup on a sesame seed bun. 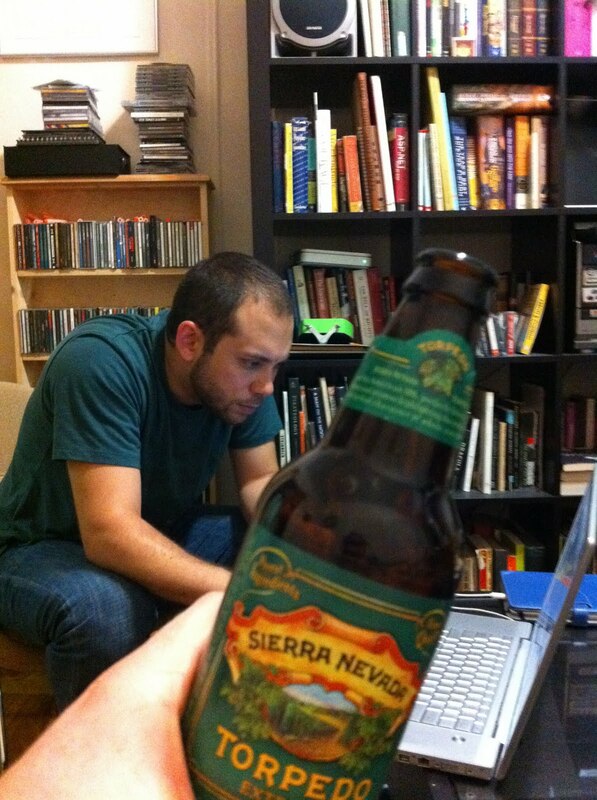 Sal and I were trading songs on Spotify afterward and enjoying some Sierra Nevada Torpedo Extra IPA. If it wouldn't kill me I'd drink that all day every day. Your soundtrack for this entry: Metric - Collect Call.